● Choose the prepaid credit packs for larger projects requiring multiple images and fonts, and save between 20-50% off regular download prices. ● The Offers section lists new promotions and special offers. Free wallpapers and images can also be downloaded from here. ● Registering for an account automatically gets you 10 free credits, which can be spent on any image, illustration or font. You will also be automatically enrolled the company mailing list, which sends out regular updates on new promotions and product releases. 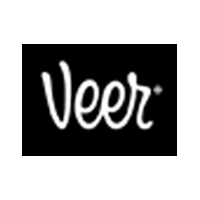 ● Veer tends to release coupon codes only occasionally, typically offering discounts up to 25% off on all items sitewide. When you’re taking on a creative project or even if you’re making a presentation for business purposes there will be a time when you’ll need to rely on stock media. Stock media is essentially videos, photos, and fonts that can be used royalty-free by any individual who pays for the original media or signs up for an account through a company such as Veer. On their site you’ll be able to take a look at various images and fonts that they have in their inventory. There is also a tab titled “Ways to Pay” so that you can figure out how you can pay for the media that you use. Be sure to check out the “Offers” page for more information about discounted items.